The next media mogul may not be who you think. 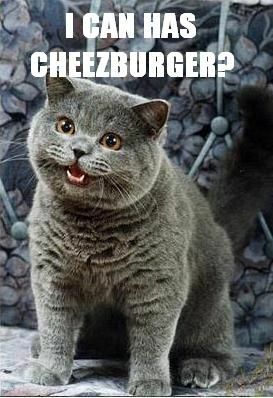 Since acquiring cat photo joke site I Can Has Cheezburger? in 2007, Ben Huh has created a veritable empire of over 50 online humour destinations, that generate more than 400 million pageviews per month. Five books, one reality TV series and several awards later, we’re delighted to announce the CEO of Cheezburger as our first “MIPCube Talks” speaker at MIPTV 2014. Why? To share his vision of the future of entertainment content across all screens, naturally. And, of course, for the lolz! MIPBlog: Why did you agree to speak at MIPCube/MIPTV? What do you think TV/digital entertainment execs can learn from you? Ben Huh: We approach content creation from very different angle: memetics, humour, user-generated content, etc. Users are taking more control of the entertainment experience into their own hands, yet at the same time, it’s hard to understand what will cause users to engage. At Cheezburger, we’ve spent years understanding the drivers of engagement, and how humour and UGC have taken the forefront. > The Cheezburger network is all about sharing and recycling content. This can throw up rights issues. Do you think notions of intellectual property need to be redefined? I believe that they are being redefined by the public as we speak, whether we like it or not. Cheezburger owns the rights to many popular pieces of internet content, but we’ve taken a low-key approach to rights enforcement because the gains to be had in sharing and remixing have been greater. > Your company has already been the subject of a reality TV series, LOLwork. What did you learn about the TV business from that? 1) The people who work to produce television are passionate, hardworking and talented. 2) The process of creating a TV show is fraught with high risk with little data. 3) TV still dominates the public conversation. > You co-founded Circa, an app whose aim is to reimagine journalism. Don’t you think that’s already happened to a degree, given that sites like yours or Buzzfeed are often more consulted than traditional news sites? I think this is a great time to be in the news business, but too often, news is watered down to appeal as entertainment. Circa is attacking one important slice of news: the mobile consumption, and not trying to confuse entertainment and journalism. > You’ve placed a lot of emphasis on mobile of late. To what extent do you think mobile is the future of entertainment? Or is it already? The future of entertainment will continue to shift as mobile reaches saturation (as it has in some markets) and we’ll find a new frontier. For today, mobile will define the opportunity for growth in entertainment, but the dollars will lag for some time. The key isn’t being fixated in just one area, but creating an organisation that can continue to find new frontiers for growth as they happen, and serve the customers the best they can in those frontiers. > You were named one of the 10 worst dressed men in Silicon Valley by GQ. What fashion tips would you like to give people coming to see you speak in Cannes? More about MIPTV 2014’s programme, including our future-of-entertainment-focused MIPCube track, here.